We routinely work with government and military clients to develop blast resistant and impact resistant structures and vehicles. Validating performance through physical explosive and impact tests is an expensive undertaking. 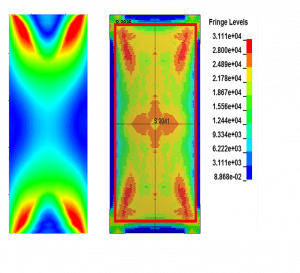 Advanced numerical modeling can dramatically reduce costs by the number of tests required and by and ensuring that designs are mature before testing. We believe that modeling and testing should work hand-in-hand. Modeling can help shape the solution and vet different concepts before construction, and it can extend test results to evaluate additional scenarios. Modeling of Blast and impact problems creates special demands for engineering expertise and experience and sophisticated software tools. We leverage our extensive in-house expertise to capture the nuances of energetic materials, high-velocity dynamics, and high-rate material deformation. We use high fidelity and high performance software to simulate various problems. These include the multi-physics code LS-DYNA, the hydrodynamic code CTH, specialty blast codes such as Air3D, as well as other specialty codes such as ALE3D and EPIC. We tackle a diverse range of problems such as blast loaded walls, blast loaded facades and glazing systems, vehicles subjected to land mines, anti-terrorism protection of bridge cables and piers, explosive attacks on pipelines, wall breaching charges, security fences, and high-speed penetrators. Where occupant injury matters, we employ anthropomorphic Hybrid III dummy models. Since many designs can be tailored in more than one way, our engineers can optimize a solution using advanced multi-variable approaches. Demanding problems are tackled with LS-OPT, a code that can leverage a single model into a substantial set of variants and identify the best overall design. We have two advanced computing clusters in house for large problems. We also have access to and routinely use additional capabilities from providers like Penguin Computing and various DoD high performance computing centers. Through our research for the Transportation Research Board’s Airport Cooperative Research Program (ACRP) our engineers have become world experts and leading developers of passive aircraft arrestor systems. These specialty pavement systems applied in airport safety utilize low beds of crushable material to bring run-away passenger aircraft to a safe stop. Because they use novel materials, aircraft arrestor beds demand multi-physics modeling solutions including finite elements (FEM), Eulerian fluids (ALE), Smoothed Particle Hydrodynamics (SPH), and Discrete Elements (DEM). More familiar applications that require similar simulation capabilities include the design and evaluation of barriers for road vehicles. Materials and designs vary widely, but they include bollards, shallow-foundation systems, Jersey barriers, and cable and fence systems. 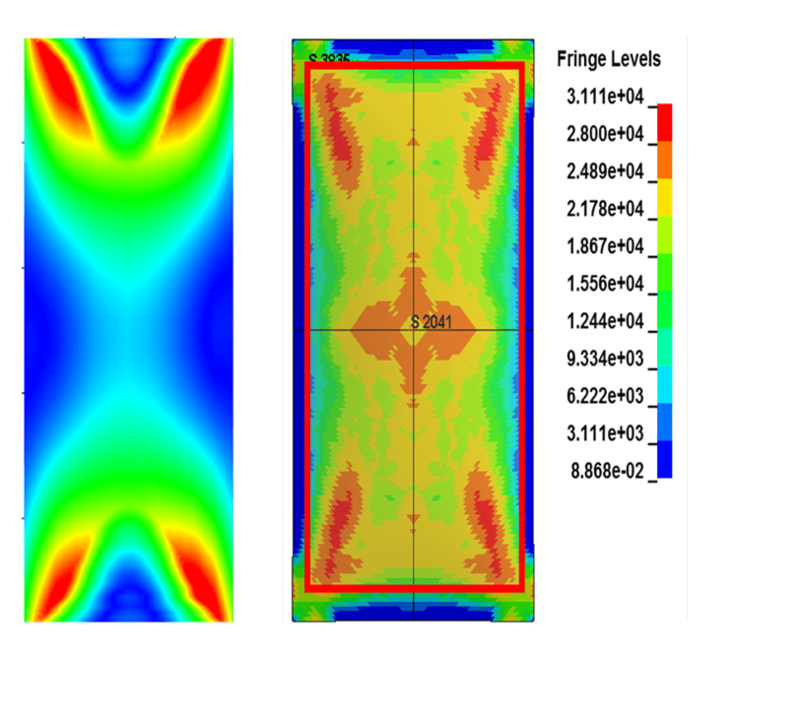 Some problems require analysis of the acoustic return of different structures. Materials of different densities create impedance mismatches that generate wave reflections, which are made complex by geometry and material combination. Simpler cases involve materials that remain elastic (air, water, earth). More difficult problems require the leveraging of tools like LS-DYNA to investigate substantial compression and density changes, such as occurs for novel materials in helmets and other protective gear made of foams and plastics. There are bottlenecks in the numerical modeling process often associated with model geometry creation and manipulation. These inefficiencies have driven us into software development; creating tools that reduce build time and automate analyses. 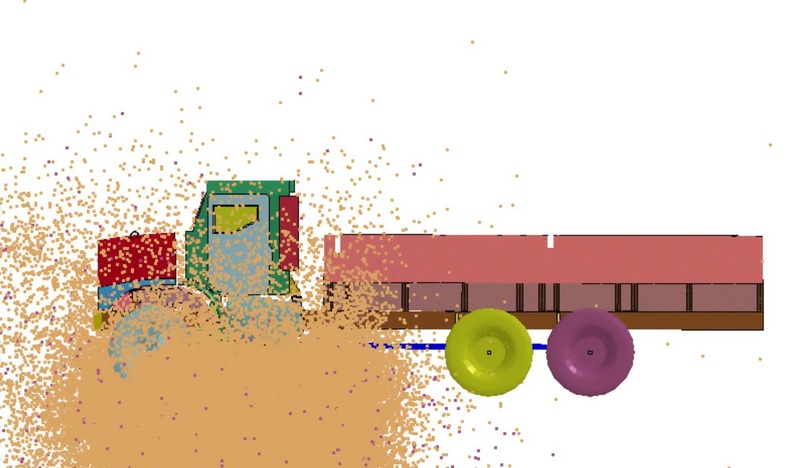 For vehicles and structures, one of the longest steps in the modeling process is simply generating a mesh of each component and then connecting them to one another. To dramatically reduce the time required, we have created an automatic meshing algorithm capable of meshing CAD geometries into SHELL and BEAM representations for analysis in codes such as LS-DYNA. Specialty codes such as the CTH hydrocode have high accuracy and broad capabilities, but can be cumbersome to use and can require arcane knowledge during development of model geometry and input decks. We are developing a GUI for CTH that aids the user in material definitions, mesh and diatom visualization, with SpyMaster code generation. “Some physics problems are to be tasted, others to be swallowed, and some few to be chewed and digested” (Sir Francis Bacon…loosely quoted). 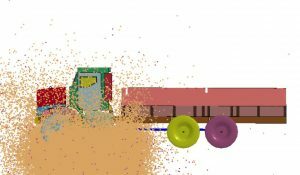 Let us know how we can “chew and digest” your hardest problems with our modeling and simulation capabilities. Contact David Stevens, Matt Barsotti, Eric Sammarco or Bryan Bewick for more information regarding PEC’s high performance modeling and simulation capabilities.